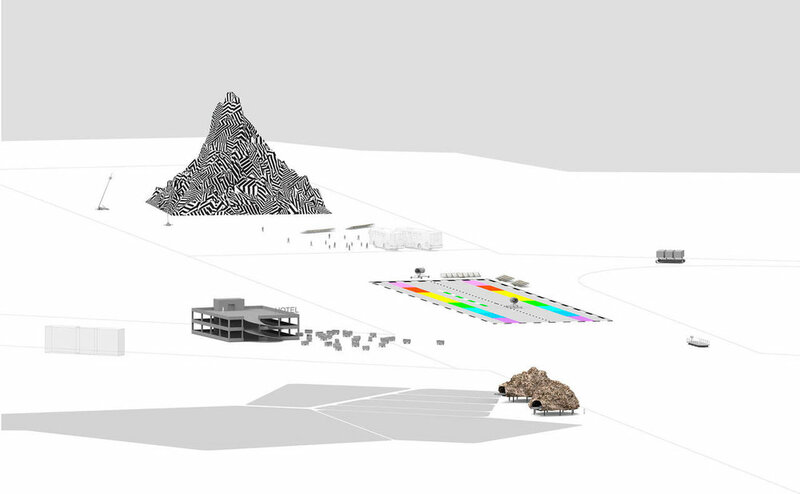 In Fall 2016, GIDEST fellows Anthony Dunne and Fiona Raby began working with five other GIDEST fellows on an experimental project they called the Many Worlds Working Group (MWWG). The idea was to respond to research each member was doing in the form of a design proposal or scenario. The group consisted of two anthropologists, a sociologist, a philosopher and a historian. 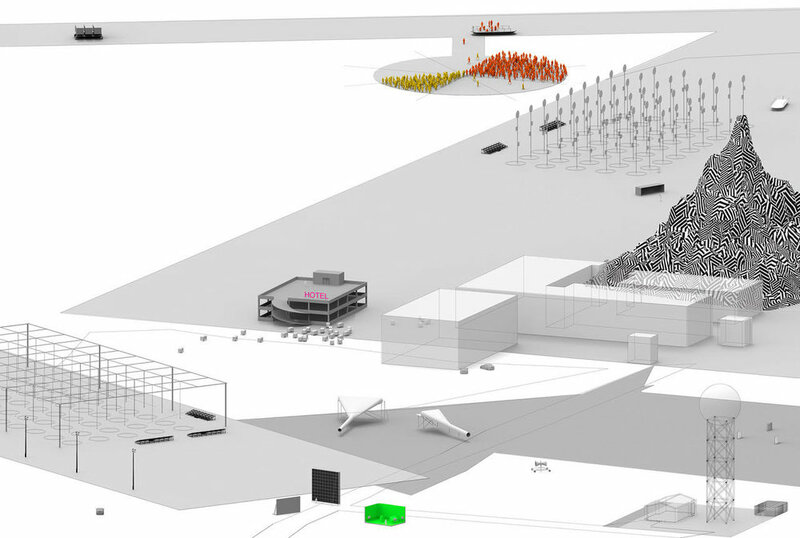 The MWWG project (ongoing) has since evolved into a proposal for a new kind of facility for public imagining, set in an alternative Floyd Bennett Airfield on the edges of New York, which aims to provide a counterpoint to future visions as the primary framing device for imagining new realities. 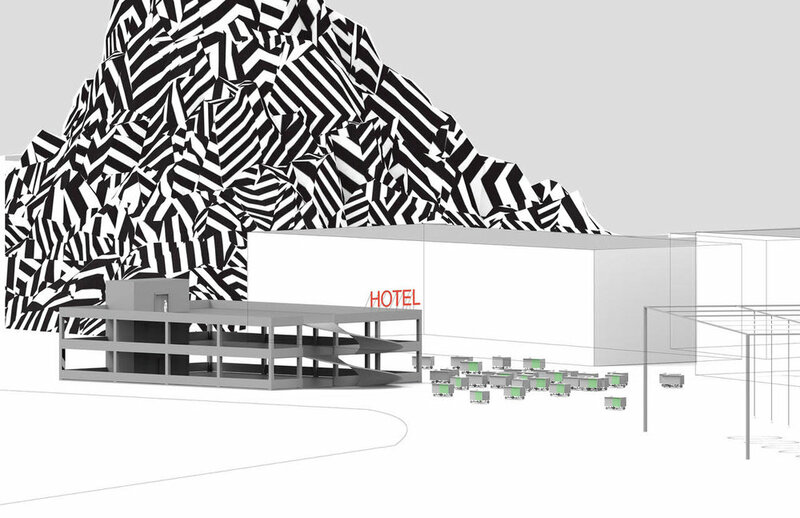 A sort of anti-futures facility, it would be a place where new worldviews can be developed and formulated into propositions, questions, hypothesis, ideas and what-ifs — useful fictions materialized through large scale partial prototypes and models forming temporary landscapes of (social) thought experiments made physical. It is not a place for testing ideas intended to be implemented, nor a public consultation forum, but rather a place where, in response to the complex fusion of politics and technology shaping today’s social realities, speculative forms of material culture can be used to provoke new ideas and collective imagining about the kinds of worlds people wish to live in. One of the aims of the project is to experiment with and deepen understanding of the mechanics of unreality — utopias, dystopias and heterotopias; what ifs and as ifs; hypotheses, thought experiments and reductio ad absurdum; counterfactuals and uchronia, and so on. That is, synthesizing ideas from political science, anthropology, sociology, history, economics and philosophy into new worldviews made tangible through an expanded form of design practice. The proposal itself is a question about the nature of futures and how they take shape within a society.